Good blood circulation in your allows tissues to take in nutrients, get rid of waste and is an essential function of long-term leg health and strength. Leg circulation can be improved by starting simple habits and making changes to your diet. The term circulation describes the constant movement of blood around the body, made possible by the pumping action of the heart. This movement or “flow” of blood takes place in a network of tubes known as blood vessels. Arteries are blood vessels that carry blood away from the heart; veins are blood vessels that carry blood towards it. 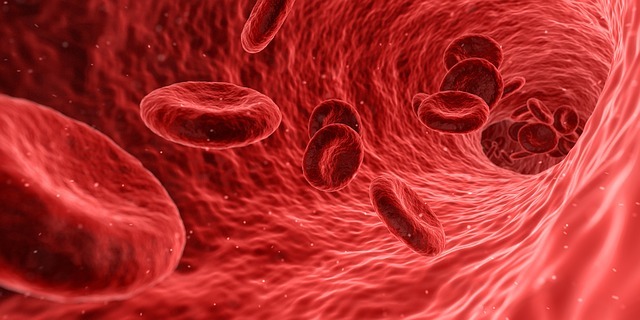 Returning blood to the heart from lower parts of the body is hard work for the circulatory system because the blood has to be pushed upwards through the body. The muscles that surround the veins help with circulation: as they contract around veins, they stimulate the flow of blood to the heart. This is why staying active—even just walking- can help improve your circulation. Circulation can deteriorate as we age. But circulation problems can affect anyone, at any age, who is not very active. Here are helpful tips for improving blood circulation throughout your body. Walking is a simple, low-impact exercise that can help you create a more active and healthy lifestyle and may promote weight loss. Walking at any pace is beneficial to increase blood circulation throughout the body, as it is the best way to increase muscle contraction in the legs. 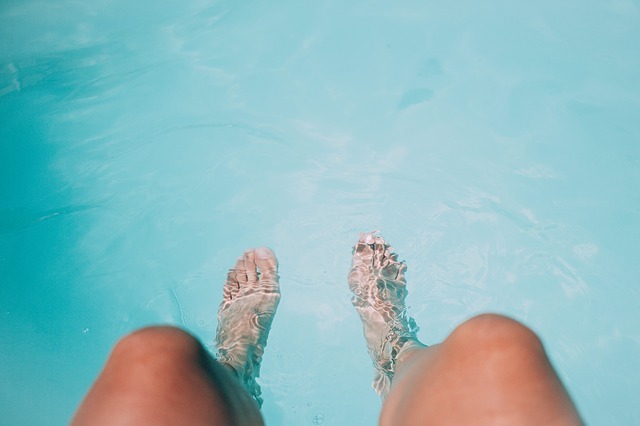 As muscles contract and relax, they squeeze around the large veins in the legs, promoting healthy circulation in more stagnant areas of flow. Additional benefits to walking and other forms of exercise include improving overall balance and uplifting your mood. Engaging in regular stretching has numerous benefits for your body. Stretching with proper technique can help promote blood circulation, which carries oxygen and nutrients to your organs and muscles that are necessary for proper function, movement, and flexibility. If you tend to cross your legs when you sit, you may be harming the circulation in your lower body. That common position cuts off circulation to the legs, making it more difficult for blood to get to your leg tissue to keep it healthy. Make a habit of sitting in a position that’s better for circulation. Sit with your legs spaced slightly apart and your feet on the floor. Remember to get up from time to time so you aren’t in this position for too long. You can also slightly elevate your legs to help circulation. Put your feet up on a stool or Ottoman six to twelve inches above the ground. While sleeping, prop your legs on a pillow to encourage circulation. This position is also healthy for your spine! Compression stockings are essential if you have a job that requires you to be either seated or standing for the entire day. Too much pressure on the legs or too little movement can negatively affect your overall health and circulation. Compression stockings mimic the internal action of walking by causing the muscles in your legs to continuously contract and relax, thereby stimulating blood flow. If you want healthy blood vessels, then you definitely shouldn’t smoke. Smoking can cause your feet and ankles to swell, and blood clots are common for smokers. If you’re smoking, your heart is not working under the best conditions, and this may lead to damaged blood vessels and veins in your legs. Stress can have negative side effects on your mental and physical health, including the body’s circulation. Find ways to relieve stress through exercise, listening to music, taking deep breaths, meditation or psychotherapy. Keep your circulatory system functioning at its best. If you have spider veins or varicose veins that are bothering you, schedule your free consultation with Vein Clinics of America today.